Hi everyone! My name is Lauren, I’m 22, from Portsmouth and I write Lauren Loves... My blog is basically about everything I see and love, hence the name! I mainly write about fashion, hair, makeup and crimes of fashion (my personal favourite!). I started blogging at the beginning of April 2010. I was doing my exam revision at the time for my masters degree and needed an outlet. I knew my friends, boyfriend and family were totally bored of hearing my constant chatter about hair, lipstick, nailvarnish, hair… the list goes on, so I thought the kindest thing to do would be to put it on an obscure blog… turns out other people like to chat about these things too! I don’t know if I have a style really – I dress in a classic, feminine way, I love skirts, dresses, nipped in waists and push-up bras! Overall though I like most things and will give all trends a try! I guess the things my friends remember me for is my LOVE of red and pink lipsticks, I always wear a streak of black liquid eyeliner, I wear skirts more frequently than trousers, and I always have backcombed hair! I guess the best way to see my style is to check out my blog! Who are your style inspirations? I love Fearne Cotton for her Mulberry handbag collection and ability to pull of any trend without wimping out, Jameela Jamil for her makeup, Pixie Lott for her gorgeous hair and love of sequins and Lauren Conrad just for being gorgeous. What is #1 on your fashion wishlist at the moment? Due to the weather at the moment, I’d love a blue duffle coat with a big faux fur hood! I’m very specific which is probably why I haven’t found “the one” yet. Apart from blogging, what do you spend your time doing? I work as an Assistant Psychologist, rehabilitating those who have suffered brain injury or strokes– a very serious but really amazing job. I also do sign language lessons and watch a lot of TV! Professor Brian Cox, he’s my weird crush of 2010 but I bet would also be great for conversation, Nicole Scherzinger (didn’t she come across so well on X Factor – I want her to be my friend! ), I’d have Delia Smith to cook (let’s hope she’s sober! ), Jake Gyllenhaal as the eye candy, and Lady Gaga as entertainment. What one fashion item/beauty product can you not live without? Just one? EEK! I guess Liz Earle Hot Cloth Cleanser. I talk about Liz Earle products sooooo much but that’s because they are amazing. I guess with this product, I wouldn’t have too many bad skin days so I wouldn’t need to choose foundation! Tell us a secret about yourself! Umm… I can’t think of any. I secretly like Kylie Minogue? I don’t really have any secrets! Anything else you'd like to add Lauren? 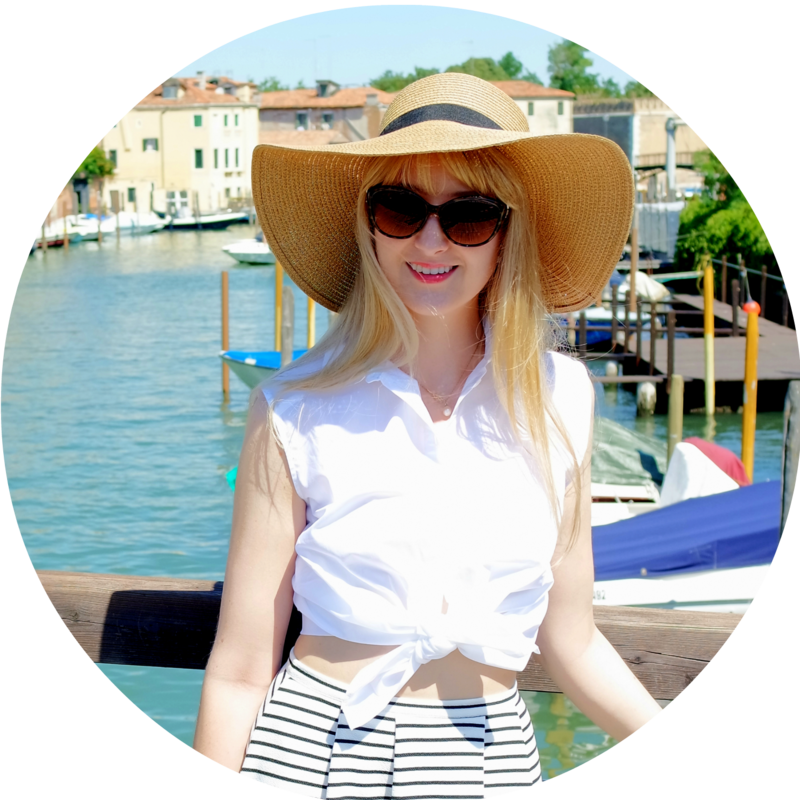 Thank you for featuring me on your blog, your blog is amazing, and you are a lot of fun to chat to on Twitter (girls, if you’re not following Sarah on Twitter, you’re missing out). I’m still very jealous of your gorgeous hair! Check out Burn the Blonde now! Hi Lauren, I've come to your blog following this interview. Great blog! I've just been reading your post on growing out a fringe - so useful for me at the moment, I'm really being driven mad! Love the outfit! And I would say Kylie Minogue is my secret as well, lmao! Hi, lovely interview and great blog.